This looks like a pleasant distraction from the longer nights, cold weather and Sunday evening blues! Everyone knows that singing lifts your spirits. All the information below, £2.50 per session or termly rate. I love to hear a choir. I love the humanity…to see the faces of real people devoting themselves to a piece of music. I like the teamwork. It makes me feel optimistic about the human race when I see them cooperating like that. 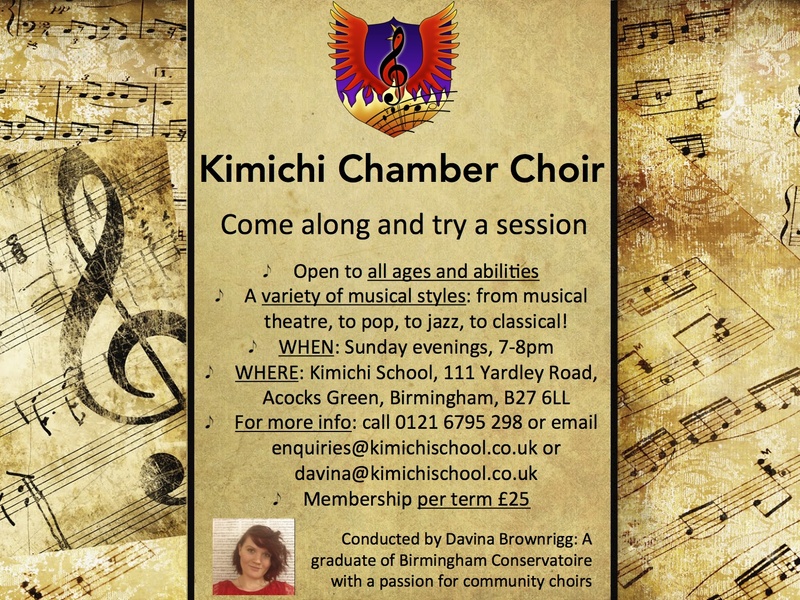 This entry was posted in adult courses, News and tagged Acocks Green, activities, Chamber Choir, choir, Eastbourne House, families, Kimichi School, music, singing. Bookmark the permalink.